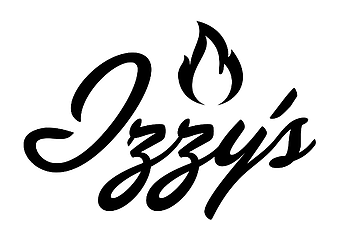 Starting in 2015, Izzy’s BBQ quickly became known as the best kosher BBQ in the country (perhaps the world?!) and they’re not quite done dominating the kosher market. Izzy’s did win Brisket King NY in 2017 after all. 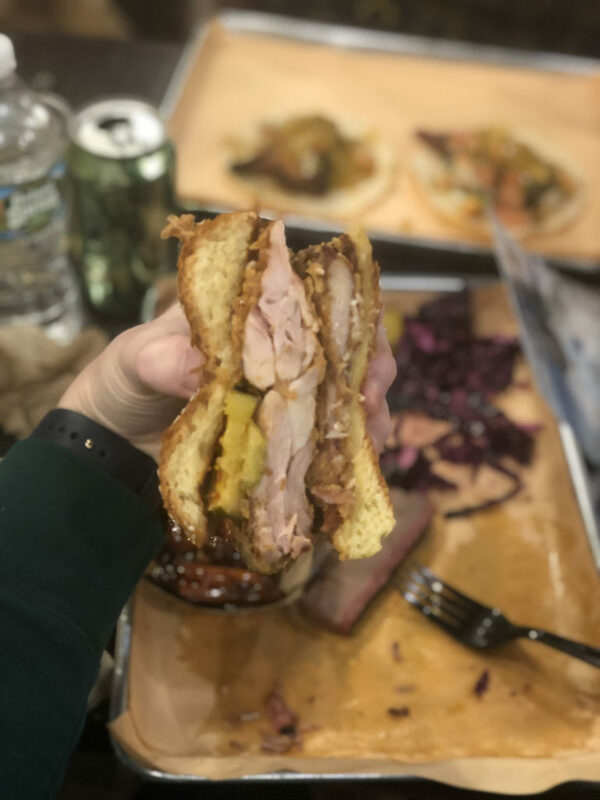 Earlier this year, pit-master Sruli Eidelman launched Izzy’s Taqueria, an authentic, kosher Mexican taco joint (next to Izzy’s BBQ in Crown Heights), leveraging some of the best meats from Izzy’s BBQ as well as handmade corn tortillas, all made in house. 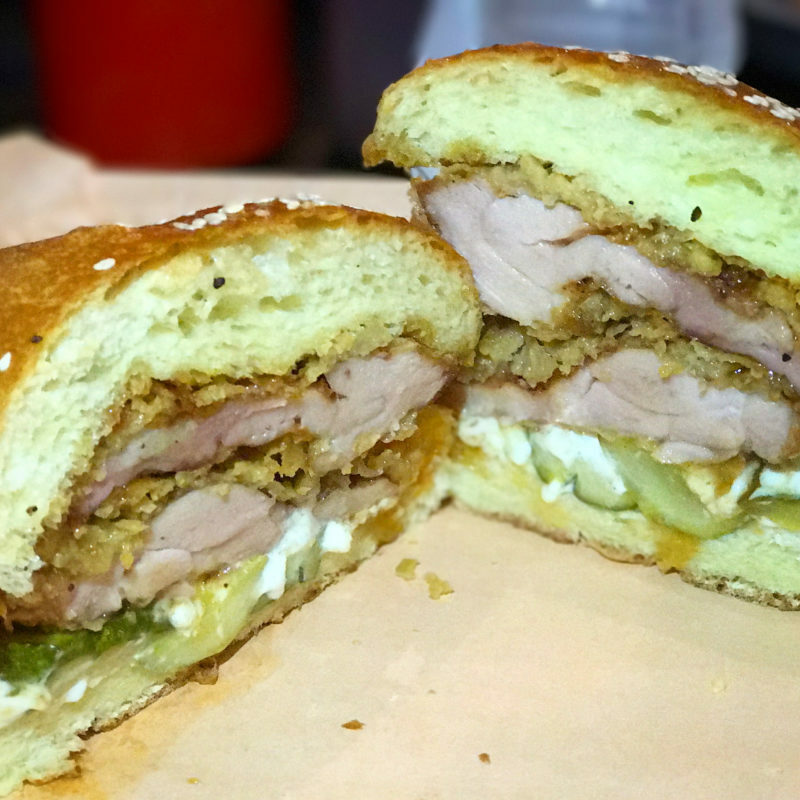 Back at Izzy’s BBQ, one of the most popular dishes on the menu is Izzy’s Smoked Fried Chicken sandwich, and it’s consistently one of the most raved about dishes online. 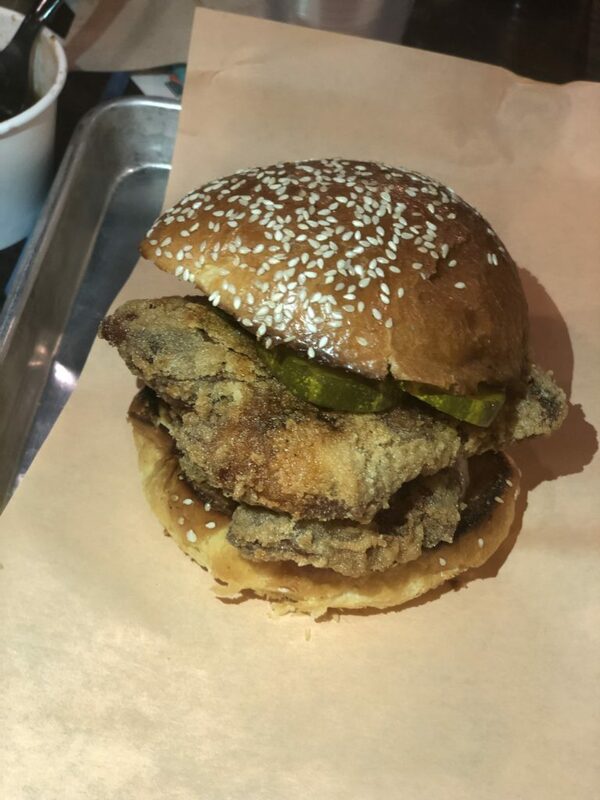 With that, it was only a matter of time before the kosher chain branched out and created Izzy’s Fried Chicken, the 3rd “Izzy’s” restaurant, opening in Crown Heights, Brooklyn in the coming months. While this restaurant will focus on high-quality Southern Fried Chicken, if his other restaurants are any indication, we can expect to taste excellent Southern food. The restaurant will be designed as a throwback diner, offering counter-only service during the day and a hybrid waiter service in the evenings. The space allows for 45 diners inside and up to 25 diners in their backyard outdoor area. Eidelman and Chef Jose Soto confirmed menu dishes that will include a variety of fried chicken dishes & sandwiches alongside options including collard greens, biscuits, slaws, fries, potato salad, mashed potatoes, and more. Grilled chicken and chicken nuggets will also be on the menu. Beers representing local NY area breweries will be available for purchase, and kosher wines as well. Sruli wants to distinguish the restaurant away from KFC or Chik-Fil-A type food and really stick to high quality Southern comfort food, in the same way that Izzy’s Taqueria is not trying to emulate Taco Bell. “Just putting out really good food.” Chef Soto, formerly of Basil and La Cambio, will have a big part in bringing these quality dishes to life. Southern homestyle cooking will also embody the desserts on the menu which will include blueberry & peach cobblers and some fried treats as well. Izzy’s Fried Chicken will be opening at 262 Kingston Avenue in Crown Heights, Brooklyn, across the street from Boeuf & Bun, and down the block from Calabria Pizza and Basil, seeking an opening date in early June 2019. All Izzy’s restaurants are kosher certified under the OK.
Izzy’s BBQ & Izzy’s Taqueria are located at 397 & 399 Troy Avenue (respectively).